Turkish police has confirmed to the Hürriyet daily that Turkish businessman Mustafa Ceyhan who was kidnapped on April 28 by a group of eight people in front of a courthouse in Baku, was flown to Turkey early on April 29. Upon his forcefull return to Turkey, the businessman was put in pre-trial detention by an İstanbul court on terror charges. 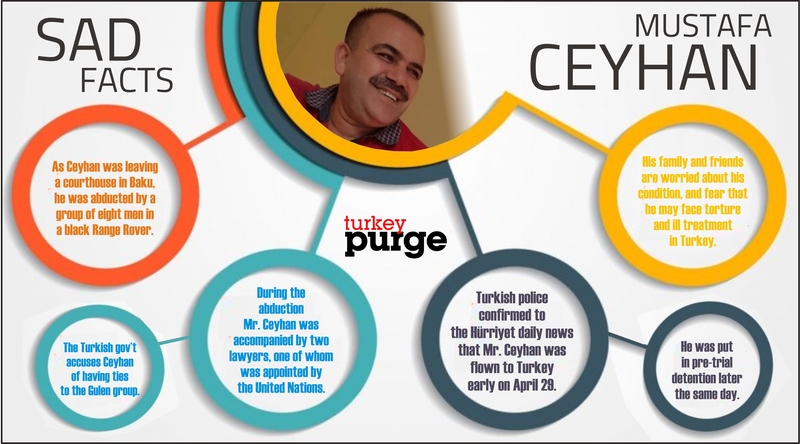 Mr. Ceyhan is believed to have been affiliated with the Gülen group, which is accused by the Turkish government of masterminding a coup attempt in 2016. A Twitter account believed to be controlled by Mr. Ceyhan’s wife, Meryem Ceyhan, tweeted on Thursday that her husband was abducted at 11:05 local time by a group of eight or ten men with a black minivan in Baku. Mrs. Ceyhan also sent a letter to Turkeypurge.com on Thursday in which she said her husband has been held in pre-trial detention in Azerbajian for almost a year and abducted by a group of eight individuals minutes after he was released from prison late on Thursday. “I am Meryem Ceyhan and Mustafa Ceyhan is my husband. On 20.04.2017, he was unjustly arrested when traveling to Azerbaijan on a business trip and sentenced for 1 year. Today, on 26.04.2018, there was a court hearing and his sentence had ended. The judge freed my partner. A group of 8 individuals in a Volkswagen Transporter forced my husband into the car and kidnapped him outside of the courthouse. He was accompanied by our lawyer and another lawyer appointed by the United Nations. They did not do anything. We have been residing in Georgia for 4 years; my 2 sons and I are still in Georgia. Due to the political problems in Turkey, we cannot go to Turkey. My partner’s court hearing was normally supposed to take place on 30.04.2018, but it was rescheduled to an earlier date. The trial happened without a notice to our lawyer. Later on, we discovered these news through our own means. Our lawyer investigated and was present at today’s hearing. My partner had a United Nations-appointed security officer and I texted and e-mailed them numerous times informing them of my concerns about my partner’s safety, told them to protect him, and they said they would provide their assistance. Today, lawyers called the United Nations mission in Baku, Azerbaijan and requested assistance, however, representatives there told them that they could not do anything. They told them to deal with it on their own. I am in Georgia, haven’t seen or met with my husband for a year, and I do not know what to do now. We are so helpless, please help us, we are waiting for your help,” the letter said. 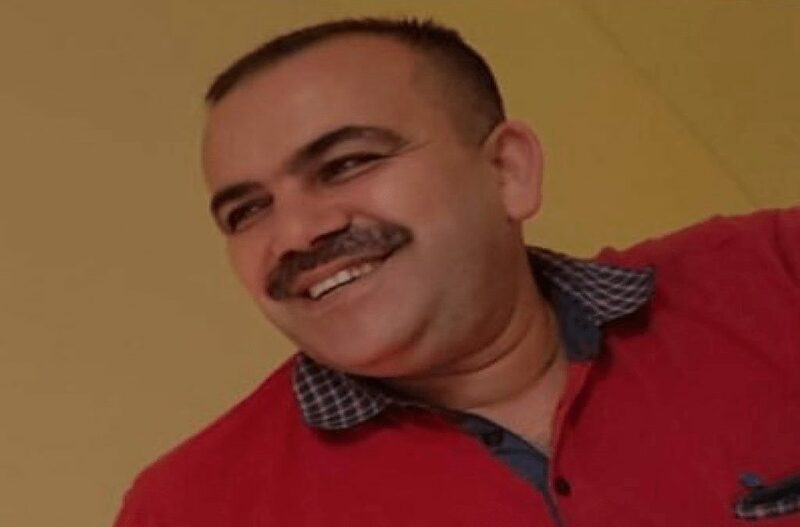 According to a series of tweets posted by an account named “Advocates of Silenced Turkey (AST),” Ceyhan was detained in April 2017 on charges of illegally crossing the border to Azerbaijan. Ceyhan denied the accusation. He indicated that he took refuge in UN and is under UN protection. AST stated that Turkish government accused Mustafa Ceyhan, father of two, of having ties with the Gülen movement and requested Azerbaijan to extradite him. On Thursday, Ceyhan was brought before court in Baku and the judge acquitted him from charges pressed against him.